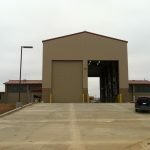 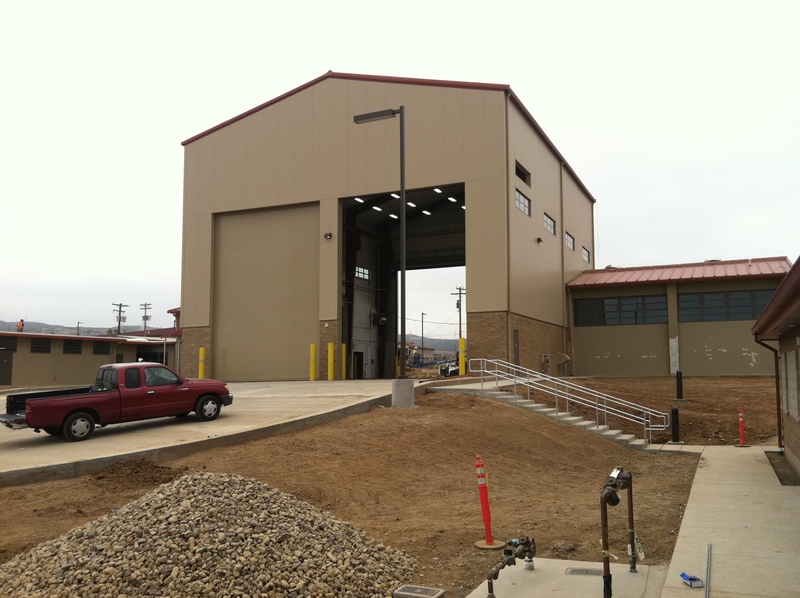 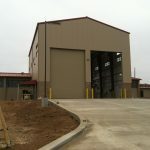 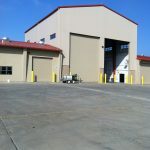 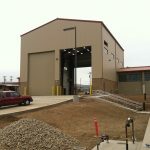 This project which is located in Camp Pendleton, CA is a Nucor pre-engineered metal building. 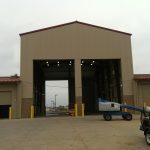 It consists of insulated wall panel and a 5 ton top running bridge crane. 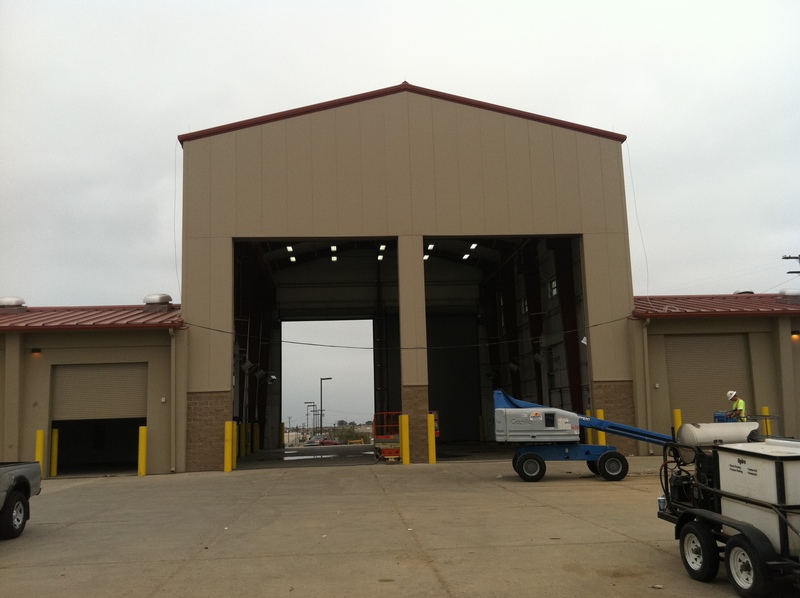 It also has banded R30 PSK-VR insulation under a standing seam metal roof. 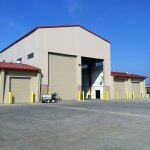 This building was used for the maintenance of military tanks.